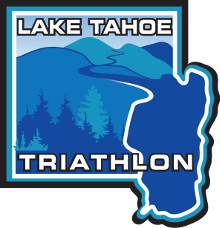 The Lake Tahoe Triathlon is held annually the fourth weekend of August on the West Shore of Lake Tahoe at Ed’ZBerg Sugar Pine State Park. The string of smaller Tahoe communities and California State Parks along HWY 89 is collectively known as the West Shore. It’s Lake Tahoe’s very own Black Forest and boasts a mossy, deep-woods aesthetic, and one of the world’s most scenic lakeshore environments. The Washoe Indians from Carson Valley area were the first known to enjoy Tahoe’s West Shore. They gathered in the summer for hunting, fishing and triathlon training. You can see evidence of these early inhabitants in the bedrock mortars some of which are at Sugar Pine Point. In 1860 General William Phipps staked out a 160 acre homestead on Sugar Pine Point. He was one of the very first permanent residents of Lake Tahoe. 1897 Isaias W. Hellman purchased property on Sugar Pine Point. Hellman was a founder of Wells Fargo Bank. In the summer of 1901 an 11,703 square foot house was built on the property for the amount of $44,000. In 1920 Florence Ehrman inherited the Pine Lodge, a great example of a Lake Tahoe summerhouse for the wealthy, known today as the Erhman Mansion. The property was sold to the California State Parks in 1965. Lake Tahoe is a world class recreational paradise. Plan to come a few days early or stay a few days after as there are endless adventures to await you on and near the Big Blue. Sugar Pine State Park website.